In the field of Instructional Design, we are called to be innovative and utilize the tools we have to solve a problem in a way that may be outside of the box. Things don’t always line up or fit in the squares we want them to. We need to be able to innovate and develop an IDD model that works for our client, our team, and ourselves as a designer. 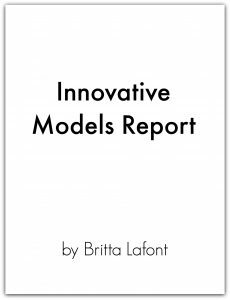 For this report, we were asked to identify a gap in the current models used in our field and then find a way to close the gap. We were also asked to support the design and decisions with research. Step 1) Identify a gap in the currently utilized models in Instructional Design and Development. Step 2) Create a rubric by which IDD models can be evaluated. Be sure to include the identified gap. Step 3) Develop an ideal IDD model that fills the identified gap. Step 4) Defend the model by analyzing a minimum of 4 other models in the field and the new model according to the rubric. Step 5) Write a report of the ideal model and analysis. Include a justification and theoretical background that supports the model. Include evidence from steps 1-4 in this report.